Scrapes are back in force, transforming Denver neighborhoods. Scrapes — love them or hate them — have made a comeback in Denver, driven by people wanting suburban-sized homes in older, urban settings. “You see the highest concentrations in our most popular neighborhoods,” said Caryn Champine, director of planning services in Denver, where scrapes are most frequent. "When we started construction, we had looked hard at the market and expected given the supply and demand that we would sell them within 30 to 60 days," said Jackson, principal of Jackson Design + Build. Scrapes involve the purchase and demolition of an older home to make way for larger structures, and the practice has tracked the overall housing market. Demolition permits rose from slightly more than 100 a year in the mid-1990s in Denver to just shy of 400 at the peak in 2007, according to Denver’s Office of Community Planning and Development. They fell off a cliff during the housing downturn — reaching a low of 92 in 2011. But last year, they hit 373. Owner-occupants wanting bigger homes in their favorite neighborhoods are behind many scrapes, but speculators like Dave Jackson, owner of Jackson Design Build in Centennial, have rejoined the fray the past two years. Jackson was an active scraper last decade, until demand for higher-end homes evaporated after the 2008 financial downturn and banks cut off funding. This month he is marketing his first speculative offering in six years — a pair of 3,000-square-foot homes at 611 and 615 S. Clarkson St. in Denver’s West Washington Park neighborhood. 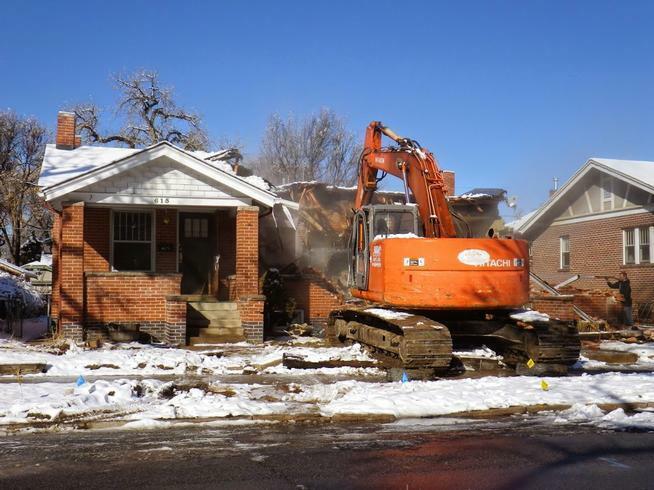 Jackson picked up a 1,760-square-foot duplex for $460,000 in November 2013 and demolished it. He replaced the 1921 structure with a contemporary duplex. The units have basements, large windows and coffee-brown brick — a nod to the color scheme of the neighborhood. Each home will list for $889,000 and offer four times the space of the previous duplex units, not to mention the energy efficiency and amenities they lacked. “On the buy is where you make your margin,” said Jackson. Back in 2009, unrenovated homes could be had for $250,000 in West Washington Park, Jackson said. Similar properties now go for $450,000. Speculators, who dominated scrapes last decade, now have to compete head to head with owner-occupants. 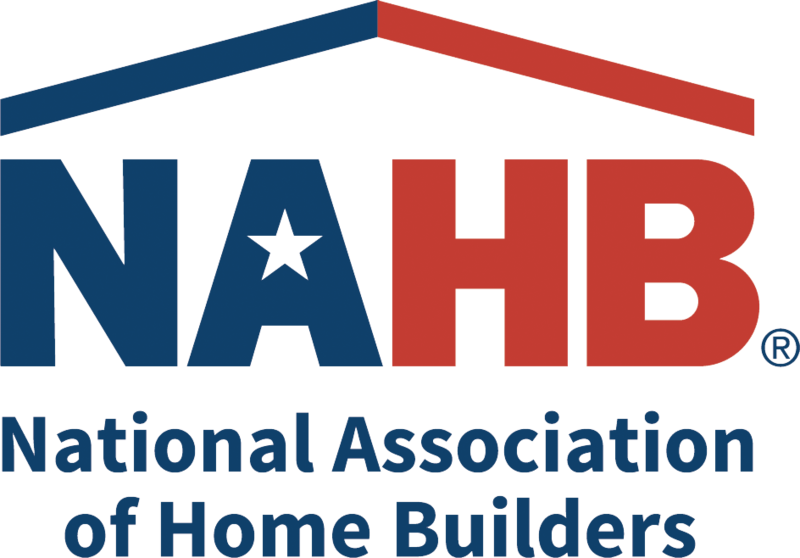 “Demand by the end-user for housing stock is higher than I have ever seen it,” said John Mattingly, a principal with Chalet, which designs and builds homes in the $1.5 million -plus range. He said his firm recently received its first commission ever in Sloan’s Lake, at a price point and design quality that will raise the bar for the entire neighborhood. Champine said city planners view scrapes as a way to keep residents in Denver who might otherwise relocate to Aurora, Lakewood or Highlands Ranch to get that four-bedroom house. “A lot of folks with growing families need more space,” Champine said. Each demolition permit filing undergoes a landmark review to make sure the home being torn down isn’t historically significant based on its design, previous ownership or location, she said. New plans also must win city approval, a process that is backlogged. But the city doesn’t regulate architectural taste, and critics have attacked scrape and builds in the past for disrupting the aesthetics and charms of the city’s older neighborhoods. Mattingly said with owner-occupants undertaking a larger share of the scrapes, those complaints should be less of an issue than 10 years ago. However, he and Jackson acknowledge that buyers want contemporary designs. Young professionals who grew up in larger suburban homes but desire the lifestyle offered in more urban settings are a key demographic for scrapes, said Kathleen Genereux, a realtor with Cherry Creek Properties in Greenwood Village. Demolition might conjure images of dilapidated structures ready to collapse, but many of the homes torn down are the kind that otherwise would be occupied by a buyer willing to renovate. The scrape equation is two-sided. Not only must sellers be willing to let go of older homes at a reasonable price, but the neighborhood has to support buyers able to afford the more expensive homes replacing them. If the relative cost to buy were the only consideration, then the Globeville and Barnum neighborhoods would be brimming with scrapes, but they aren’t. Demolition permits since 2007 are heavily concentrated in northwest Denver in neighborhoods like Berkeley and Highland and running southeast to cover the park neighborhoods — Washington Park, Platt Park and University Park. With lots harder to find in more heavily scoured areas, scrapes are spilling over into nearby areas like Sunnyside, Regis, Sloan’s Lake in northwest Denver and Hilltop and South Park Hill in east Denver. Demolitions are rare or nonexistent in Denver’s southwestern and northeastern neighborhoods and out in the suburbs, although Genereux predicts Wheat Ridge might see more activity. Next door to Jackson’s property, a home is going up on a scraped lot. And across the street an owner is popping the top on his bungalow. And as he gets ready to wrap up the homes on South Clarkson, Jackson is occupied with the need to replenish his inventory of lots to build on, either for clients who come to him or for speculation. “There is a scarcity of lots in town,” he said.